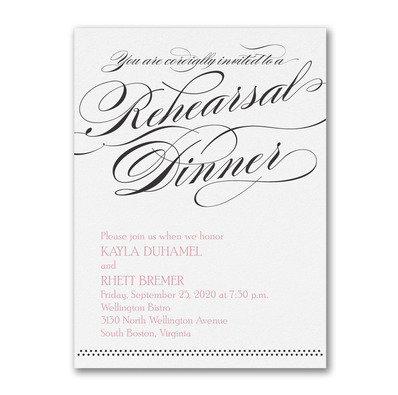 one of our custom printed rehearsal dinner invites! to offer you the largest selection for online ordering! Print time usually consists of 2-3 business days. Birchcraft printing facility for fastest service. These are the same invitations found in retail shops around the country. Invitations and Stationery Products from Carlson Craft!